Defending champions of the Tema Community Basketball League have begun the 2019 season on a good note thanks to a 49-36 win over Teshie Vikings. The game was the final of four matchups to start the new season. 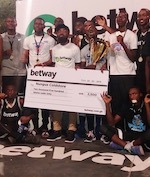 Coldstore won its second league title last year thanks to a 2-1 Final Series win over Tema Heat and rolled into the contest as winners of the preseason competition-BetWay Hoops Tournament in February. However, Nungua was far from its best as Vikings threatened on several occasions to catch up to them and take the lead. Vikings trailed 26-27 with a few minutes left to play in the third quarter but Coldstore recovered in time to get baskets from Emmanuel Wolff and Joy Ofori to seal the win. Point Guard Kontor Appiah has moved to Spintex Knights. The biggest game of the round has Tema Community 4 beat Tema Heat 42-33 with both teams adding new faces to their rosters. 2017 League winners Community 4 got an outstanding performance from new recruit Muhaimin Guba and incumbent Shooting Guard Kent Fosu to down the efforts of Heat's Mustapha Ahmed. League debutant Sakumono Titans secured its maiden win of the season thanks to a surprising 47-41 win over Francophone Stars who placed third last year. 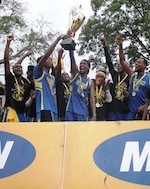 Akatsi Rifles got a 34-24 win over the veteran heavy Tema Rockets in the opening game.